These striking shrubs are very familiar to people familiar with British gardens, but to see them at their best the Iberian Peninsula is the place to go. The flowers have rather crumpled-looking petals, some pure white and others white with dark maroon spots. The sticky, oderous substance which comes from the tough, dark green leaves of the plant is used in the perfume industry. 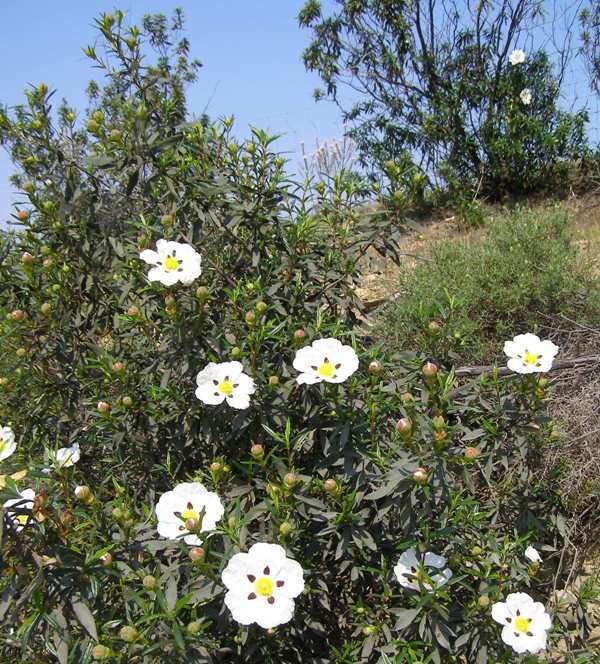 From the maquis (areas with shrubs up to 5 metres in height) and well into the hills of Portugal and the Iberian Peninsula in general Gum Cistus flourishes. 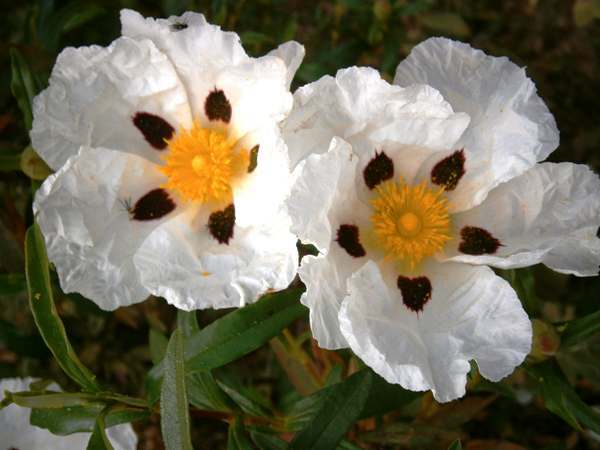 Gum Cistus, a member of the Rockrose family, is native to Spain, Portugal, southern France and North West Africa. In other places - Cyprus for example - this plant has been introduced and is now naturalised. 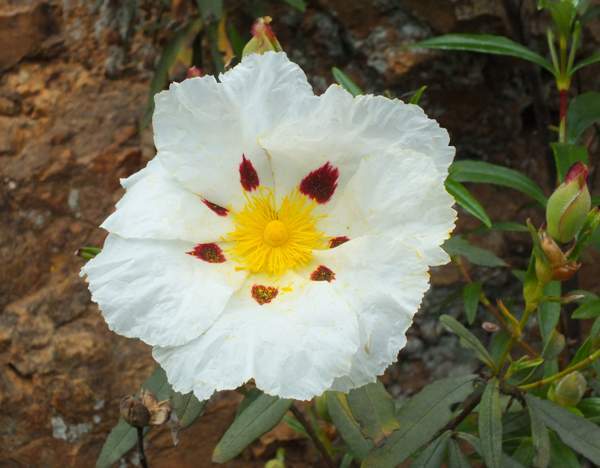 In their native (Mediterranean) countries, Gum Cistus flowers can be seen from April to June. Some other species of cistus to appear in the Mediterranean region include Cistus Albidus (Grey-leaved Cistus) and Cistus salviifolius (Sage-leaved Cistus). Many of the bushes are parisitised by Cytinus hypocistis, and the best time to see this fascinating plant (growing around the roots of the cistus bushes) is from mid-April until June. The specimens shown here were photographed in the Algarve in Portugal during March.